Have you heard? Bushy beards are so last year. Clean-shaven, or at least a nicely trimmed version, is the new look, and that goes for sideburns, too. Could this reverse trend affect the luxury car industry, as well? Massive front grilles that sweep deep down into a vehicle’s chin spoiler are the automotive equivalent of big beards, after all, which means that those brands that chose not to remake themselves at the whim of a trend may be just as stylish now as those of us who remained barbless throughout the facial hair phase. Nice to know we’re both at the height of fashion again, isn’t it Acura? While Acura may not seem quite as trendy as some of its rivals, those who have followed the brand over the past decade will remember when its 2007 MDX arrived sporting quite the ‘stache ― a bold and brash “shield” grille that caused significant controversy at the time. The RDX was quick to emulate with a reverse chevron of its own, that being the first mid-cycle makeover of the first-generation model. 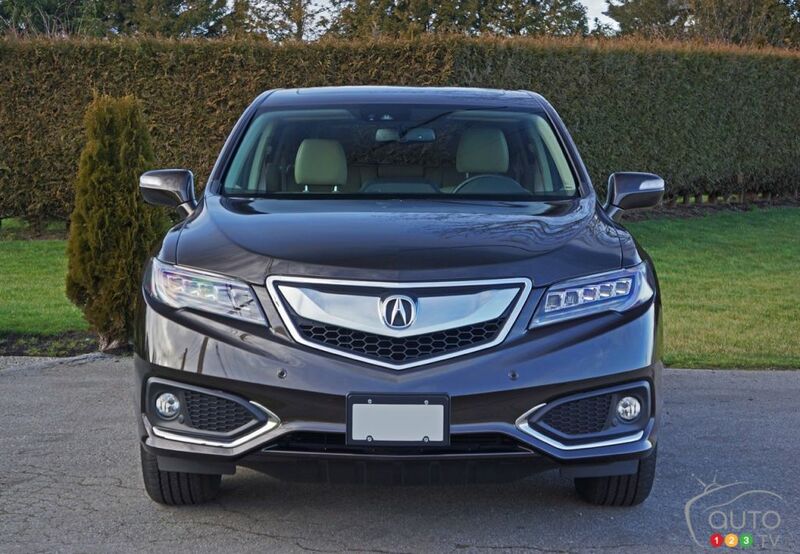 Now, two generations and another refresh arriving for this model year, the 2016 Acura RDX has matured from an awkwardly shaped teen with facial fuzz to a well-proportioned adult, dropping its trendy façade for a more conventional albeit classier look. I like that Acura has now refined its previous in-your-face grille design into a smaller and more sculpted shape that adds distinctive character without pulling attention away from the rest of the design, thus leaving visual space for the brand’s gorgeous trademark LED headlamps (also revised for this year), as well as some really nice chiseled detailing around the fog lamps on the lower fascia. Its profile remains long and sleek with sporty fastback-style rear pillars and glass up top, plus a stunning set of machine-finished multi-spoke 18” alloys with grey-painted pockets now rolling below. New red- and clear-lensed LED taillights nearly pull eyeballs as easily as the elements up front. Finally, the refresh is made complete by a restyled rear bumper cap, mimicking the chrome-trimmed front fascia. From nose to tail, the latest RDX is a crowd pleaser ― cool without trying to be. This is even more apparent inside where the 2016 Acura RDX Elite (as tested) combines high-tech features with high-quality traditional luxury, although it’s not the most indulgent cabin in the segment. For starters, it’s a bit short on some de rigueur premium features such as fabric-wrapped roof pillars, their omission a luxury faux pas, whereas others in the segment also indulge more when it comes to soft-touch surfaces. The RDX dash top is mostly soft, pliable synthetic, except for the front portion under the windshield and the small hood overhanging the infotainment screen, while Acura continues the malleable treatment down each side of the redesigned centre stack to the top point of the HVAC interface. After that, it’s a matte-finish, harder plastic including the glove box lid, which feels and sounds cheap when closing (with an after-rattle no less). The door panels include a black portion made from the same high-quality ductile material as the dash top, whereas the rear section is finished with a very upscale, heavily padded French-stitched insert. In juxtaposition, a large portion of the mid-door panels as well as the lower panels are hard plastic, as is the entire centre console. The latter is nevertheless an efficient use of space thanks to a large covered bin for a phone and power cord. There are also two cup holders plus 3-way buttons for heating and cooling the front seats (in Elite trim). Those seats are very supportive and comfortable with perforated inserts for the cooling system and ample adjustment for my backside’s needs, although the fore and aft power lumbar support might not fit everyone’s lower back as ideally as it did mine. Surprisingly, no heated steering wheel or power adjustable steering column is included in the RDX Elite. However, paddle shifters make the vehicle a lot more fun to drive than many in this class. Performance is an RDX hallmark. Its standard V6 engine was upgraded for 2016, with output now at 279 horsepower (+6) and 252 lb-ft of torque (+1). The 6-speed automatic transmission is smooth with positive shifts, especially in Sport mode. To access its most entertaining setting, just pull the shift lever to its rearmost “S” position and enjoy, with quicker shift increments and higher revs before gear changes, steering that’s also direct and precise, and overall handling that’s certainly better than class average. 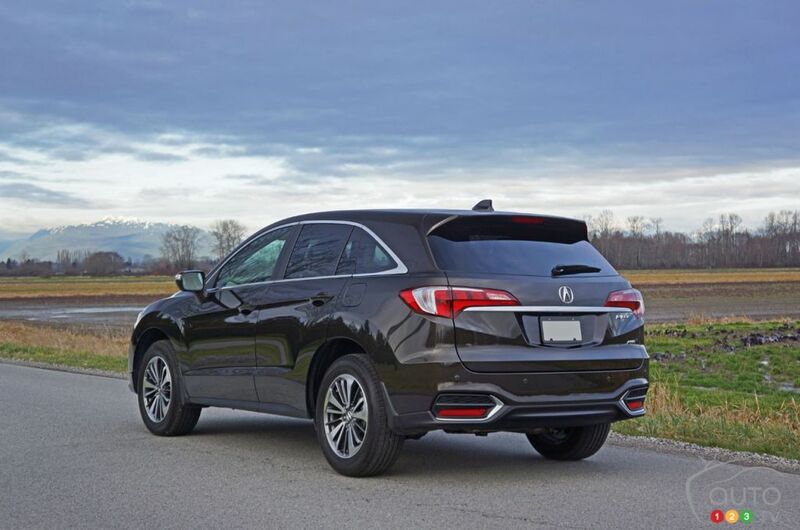 The Acura RDX balances out its great agility with a very compliant ride that made the entire experience all the more enjoyable, this complemented by an interior that was quieter than expected. Acura combines amplitude reactive dampers with a MacPherson strut front and multi-link rear suspension, while traction is aided via AWD that only comes into play when needed in order to achieve the most efficiency possible, redirecting up to 40% of torque to the rear wheels during moderate acceleration (in dry conditions) or maintaining an even 50/50 torque split in inclement weather. Stability and traction control assist further when required. In my opinion, Acura could use a smaller-displacement, turbocharged 4-cylinder engine to compete more directly at the pump while adopting the 9-speed automatic transmission and auto start/stop system from the MDX. 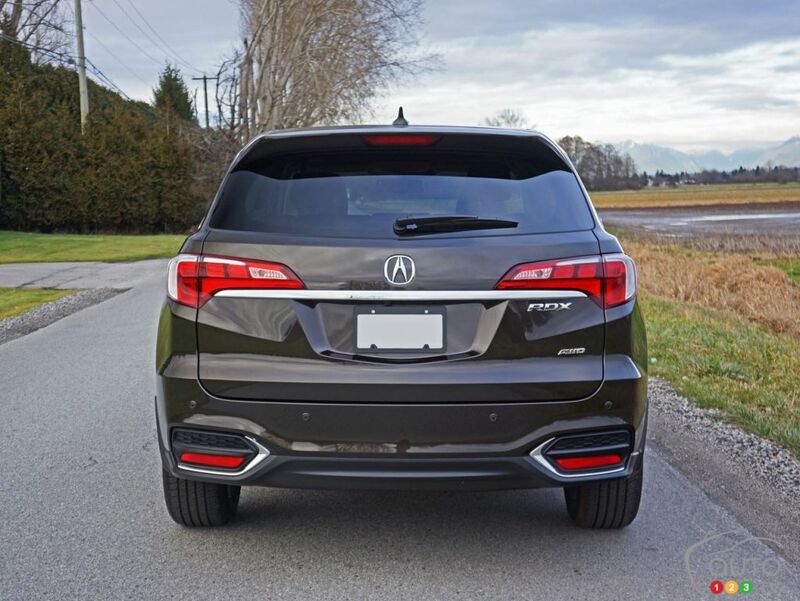 As it stands now, the fuel economy of the 2016 Acura RDX is hardly class-leading at 12.4L/100km city, 8.7L/100km highway, and 10.7L/100km combined. Acura visually highlights the small crossover’s performance by adding a bold red engine start/stop button to the dash. Furthermore, my tester’s cabin was trimmed out with aluminum instead of traditional wood. Along with those hard-shell roof pillars that should’ve been cloth-wrapped, this top-line RDX Elite was also missing a panoramic sunroof ― just a small glass moonroof above the driver and front passenger. On the plus side, the overhead console featured a padded sunglasses holder (always appreciated) and an especially nice array of switchgear for the sunroof and AcuraLink telematics services. I mentioned earlier that the centre stack was redesigned, with both Tech and Elite trims now featuring two infotainment screens. The top display is dedicated to navigation duties most of the time, although along with related trip computer and traffic incident info it also includes access to phone messages, voice activation settings, a calendar, and a clock ― just press the “MENU” button and rotate the large circular controller below the second screen. The lower display is a touchscreen for the excellent-sounding audio system and GPS-linked, solar-sensing, dual-zone auto HVAC system, which are both ultra-easy to use. All 2016 Acura RDX models get the brand’s Jewel Eye LED headlights and LED taillights, powered moonroof, and red ignition button noted earlier. Additional standard equipment includes ambient cabin lighting, a leather-wrapped, multi-function steering wheel, colour TFT primary meters, auto on/off headlights, an auto-dimming rear-view mirror, a HomeLink garage door opener, a multi-angle camera with guidelines, reverse gear tilt-down side mirrors, satellite radio, 8-way power adjustable front seats with 2-position driver’s side memory, active sound control. Safety is enhanced by the AcuraWatch driver-assist features, which include active cruise control, lane keeping assist, lane departure warning, and forward collision warning with collision mitigation. These and more helped the RDX receive an IIHS Top Safety Pick+ rating and near-perfect 5-star NHTSA crash test rating (it only managed four stars during the rollover test, which is common for SUVs). The Acura RDX is surprisingly roomy for a compact utility vehicle, especially in the back. Acura finishes the cargo compartment better than most rivals, as well, with high-quality carpets and chrome metal tie-down rings, but it’s the process required to lower the 60/40-split rear seatbacks that won me over. Just tug on each sidewall-mounted lever to instantly add load capacity. Designers even included flaps that automatically fall into place to cover the gap that otherwise might swallow up small items like rolling groceries. The only detractor is a load floor that’s not entirely flat, a steep rise forming at centre that makes stacking boxes or other large items difficult. It’s a compromised setup, but I think most will appreciate the convenience of auto-folding rear seats over a potential loss of cargo space. It’s still very accommodating with 2,178 litres of total cargo volume including 739 litres behind the rear seats. The only other questionable negative about this interior is its light Parchment colour, which makes dirt easily visible on the carpets, lower door panels, and plastic portion of the thresholds, not to mention the seats that were already discoloured blue from the jeans of previous testers. This was especially noticeable on the driver’s seat that was darker than the others. 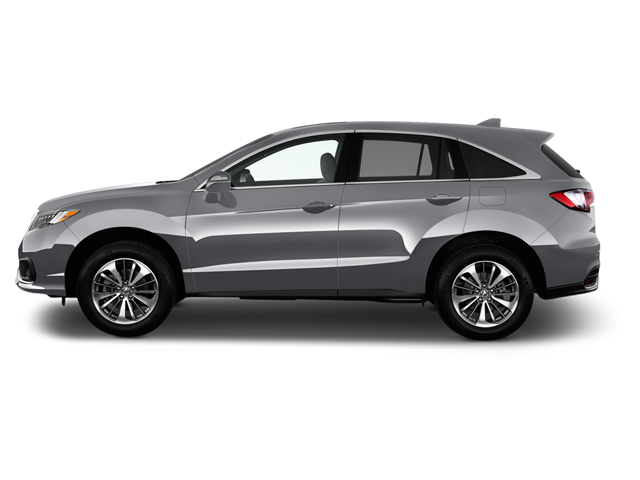 If your wardrobe consists mostly of khaki-coloured Banana Republic cargo shorts and Gap chinos or other types of non-dye bleeding clothing, by all means keep it beige, but if you wear jeans more often than not I recommend purchasing your 2016 Acura RDX with its standard black interior. To be fair, no vehicle can possibly meet everyone’s wants and needs, especially one that’s priced as well as the RDX and so fully featured in standard trim. The window sticker starts at $41,990 plus freight and dealer fees, with the Tech model costing $44,990 and the as-tested Elite available from $46,590. There are no additional options other than paint choices. Interesting is how the market has responded to all of the 2016 upgrades. The RDX was already very popular, but over the past four months it has replaced Audi’s Q5 for first place in combined U.S./Canadian sales with 18,309 deliveries compared to 15,242 for the four-ringed German. In a nutshell, it appears we collectively love the new RDX, and after a busy week behind the wheel I fully understand why it’s doing so well. 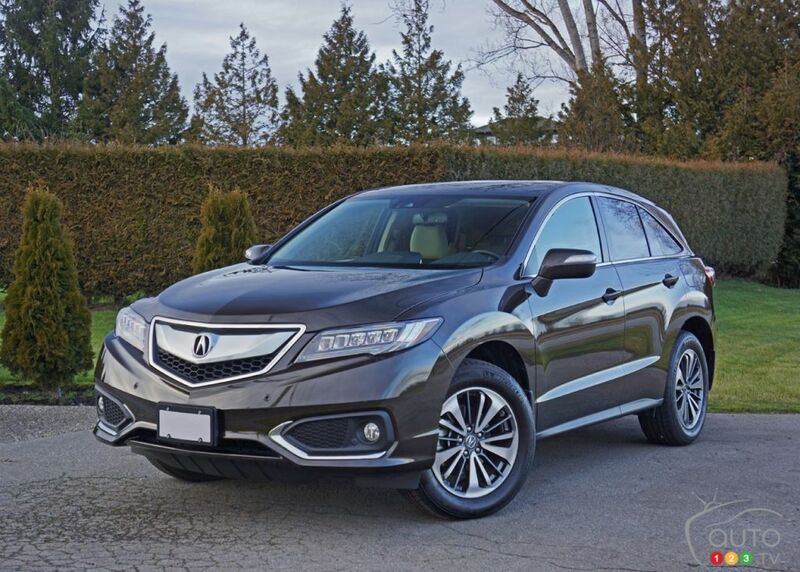 To sum up, the 2016 Acura RDX looks elegant and refined without being trendy, offers up strong performance and good overall dynamics, boasts a luxurious cabin stocked full of useful features, proves to be as safe as the compact SUV segment gets, and more than likely will deliver better than average reliability ― it’s a Honda under the skin, after all. You won't go wrong with an Acura RDX but don't expect much attention or a hi-five if you get one.